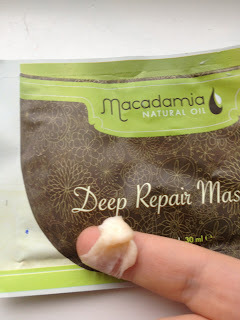 This week, I finally decided to use my Macadamia Natural Oil Deep Repair Masque (gosh, that's a mouthful!) sample I received in a Beauty Box back in February! Yep, you read that right, February! Soon after, I cancelled all my Beauty Box Subscriptions as I found I got more shower gel than anything, I've got an actual reserve of them so if there's every a zombie apocalypse and we run out of shower gel, I'm your girl, but I did get a couple of little gems in them (Although far and few between) and this feels like one of them! So first a little bit about my hair, my hair is fairly long, hitting the top of my bust now and I've been growing it out for around 4 years now, after my brilliant idea to go blonde aged 14 (all photo evidence of this time as been destroyed) I had to have most of my length cut off and my layers cut short as I'd damaged it so much by trying to do it myself, A word of warning, please go to a professional for a drastic colour change I used to be a dye hard home hair dye girl but I am no longer! I rocked the look of a huge side fringe like the emo teen I was, and me and that fringe finally parted ways in June. I have fine hair but I have far more than my fair share, it's naturally quite wavy but not a nice wave and is naturally quite dry, but due to it's texture I use more heat on it than I'd like too to try and keep it looking decent! My sample came packaged like this and is 30ml in size. This is how the masque was packaged, please excuse the tear from when I opened it. I took one look at it and it's size, and went "hell no! that won't be enough for my hair!" as I do have tones of it, I go through Shampoo & Conditioner like water as I have SO much hair, and find it very hard to spread through my hair, but this surprised me as not only did I not need all of it, I only needed around half the sachet! this amazed me as I tend not to be able to get away with so little product! This is obviously not the amount of product I used, but this shows the thick cream texture of the masque. I left the masque on for around half an hour, the packet recommended 7 minutes (Very exact!) but I had some things I needed to get done so I left it on an went about my business before washing it out. 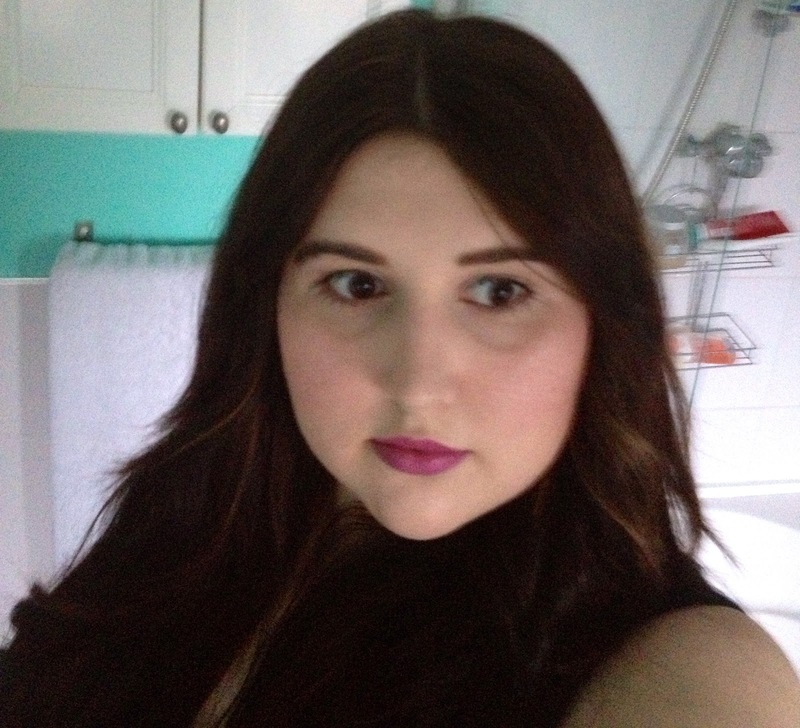 As I washed it out I noticed my hair felt very smooth and soft, but sort of naturally soft, rather than a silicone smooth I often feel from cheaper conditioners, it definitely felt different than it normally did as I washed out my conditioner. When I dried my hair and I just sprayed in some heat protectant and dried my hair smooth with a paddle brush, my hair felt soft but not unmanageable and looked very shiny, my hair fell really well as well, so I had that good hair day feeling. It also made my super dry ends feel great and seemed to mask my split ends. My hair was a little frizzy, but as I skipped my regular products to see the true effect this masque had on my hair, I didn't really expect it be frizz free. I ran some of my regular smoothing product through my hair, popped on a little make up and ran off to college without paying much attention to my hair since noticing how it looked at first when I dried my hair, and when I got home from college at 9pm, I did some work then jumped into bed, without tying my hair back or bothering to do much other than run my fingers through to ease out the tangles. I'm really sort about the lighting in this photo as it was starting to get dark and the rain had set it, but you can really tell how shiny my hair is in this photo, especially at the front. The next day, I had a very long meeting at the Bank with my parents as we're all switching accounts. This meeting, unknown to me before I agreed, took 3 hours! during the first sort of 2 hours which I wasn't needed for I was trying to keep myself entertained and that's when I noticed how super shiny and soft my hair still was! I'd also just ran a brush through my hair and left the house that morning and each time I caught a glimpse of myself, I was happy to see that my good hair day from the night before had lasted, and I looked human with minimal effort! The masque is sold in two sizes, a 250ml option at £23.95, and a 500ml option for £36.75, but both are available online for a lower price, I found the 250ml size for £19.15 & 500ml size for £24.08, both with free delivery. 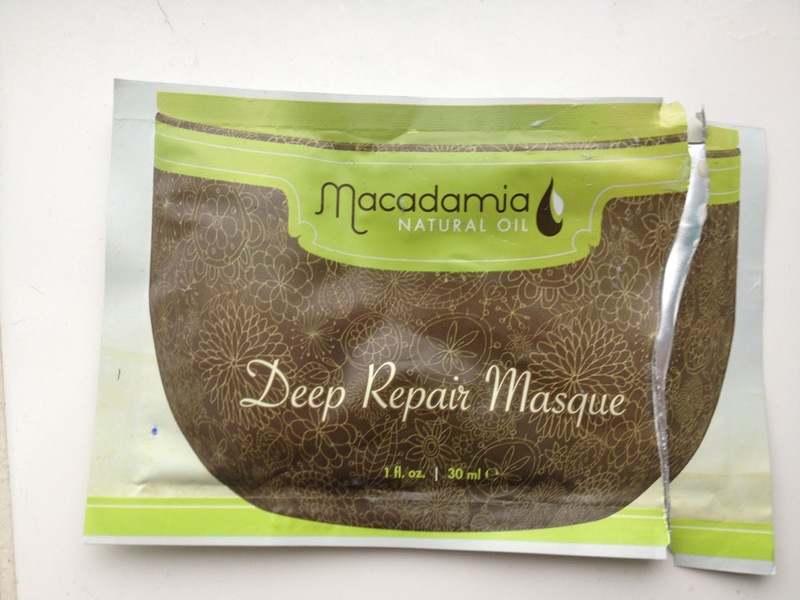 Overall I found this masque to be really nice to use, and based on the amount I had to use, I think pot would last me for quite a long time, making it pretty good value for money and I would definitely recommend it to a friend as I'm really impressed with how it made my hair look and feel.